Temperatures are slowly rising, the days are becoming longer, and the welcome comforts of spring are nearer with every passing day. And yet…we’re still steeped in what has proven to be one of the more brutal winters of recent experience. 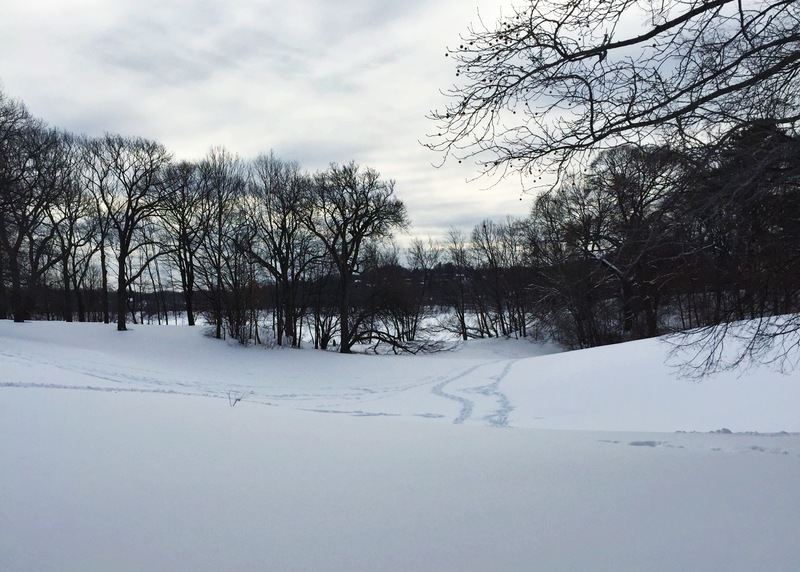 Ever the optimist, I look at winter with the lens of a “silver lining” perspective. 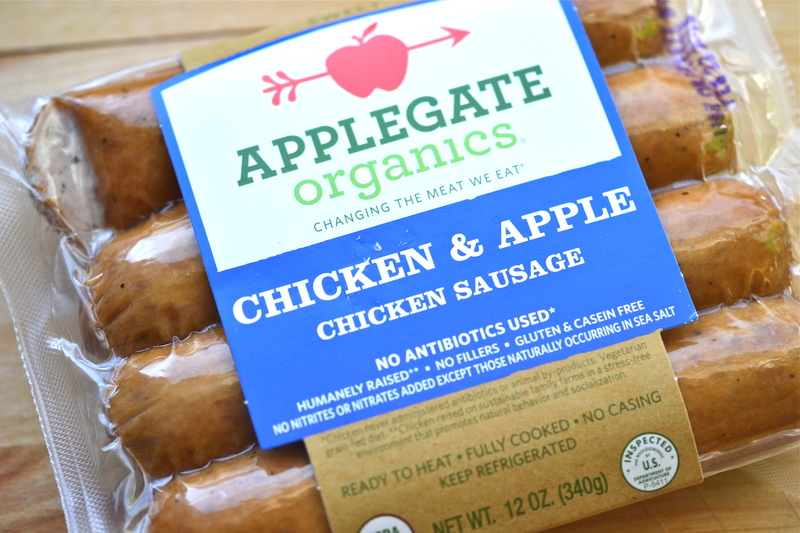 It has a number of perks: an excuse to bundle up with a great movie, a reminder for our constantly changing world, and (most importantly) an excellent reason for cooking up a hearty meal. My dearest friend (and former roommate!) Jennifer Berg is visiting Boston right now. She currently lives in good ol’ Texas, playing English horn with the San Antonio Symphony. Since Boston and Texas are total opposites weather-wise, I wanted to give her a “warm” welcome back with a filling meal. 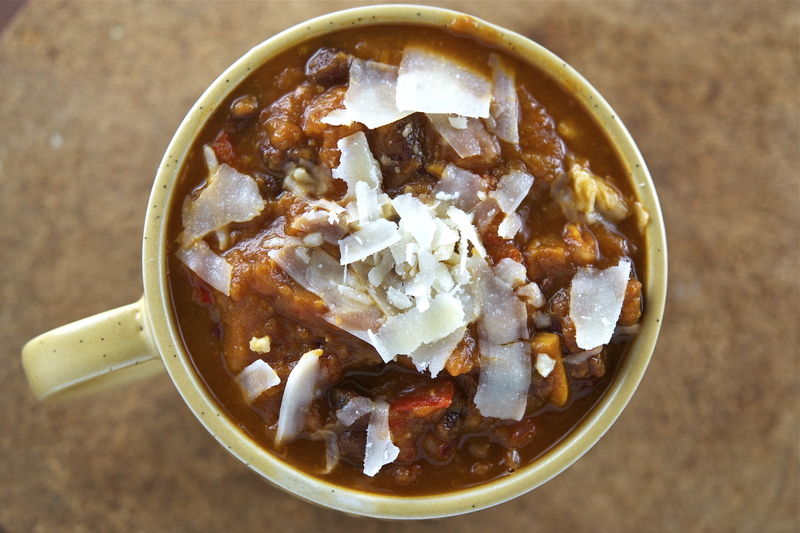 My pantry just happened to have all of the essentials for making this delicious Vegetarian Sweet Potato Chili. 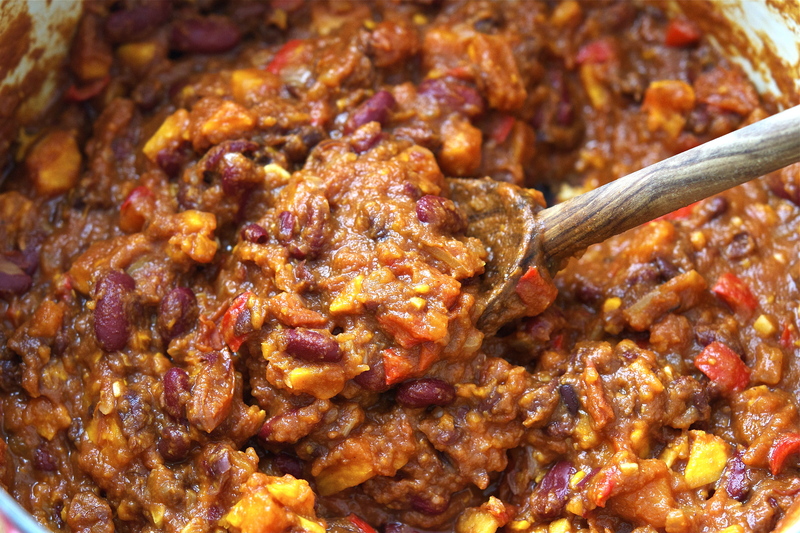 There are multiple “camps” when it comes to making chili – some swear by the use of tomatoes, other claim that authentic chilis should be nothing more than meat and beans. 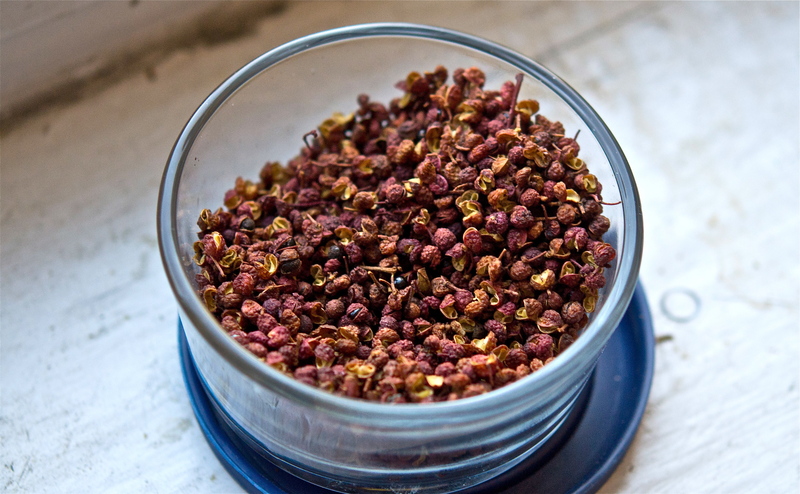 Jenn is a die-hard Texan when it comes to chili, and lovingly called this gem “Northeastern chili”. I used two different types of beans – black beans and kidney beans – and a whole mess of veggies (see below). 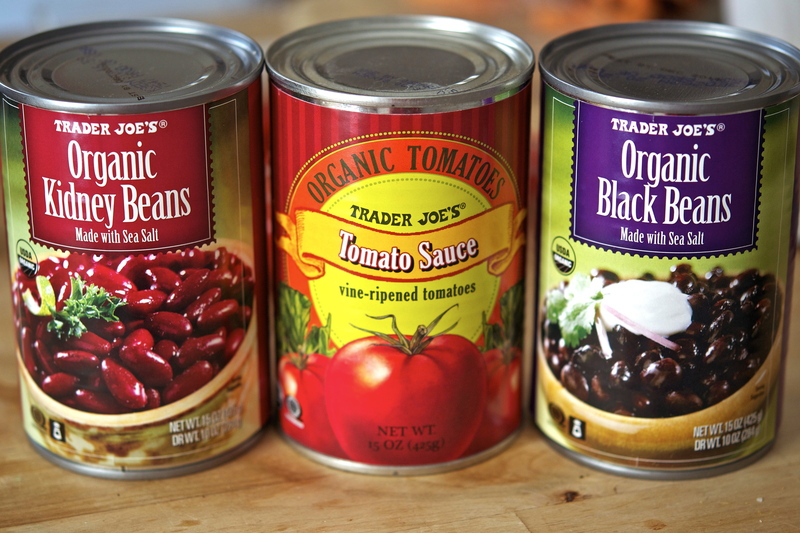 I’m an avid reader of ingredient labels, and always opt for canned items with as few added ingredients as possible. This often leads me to the “organic” options. Even though it’s a little pricier, I’d rather avoid the cheaper varieties with added “calcium chloride” and/or “maltodextrin”. 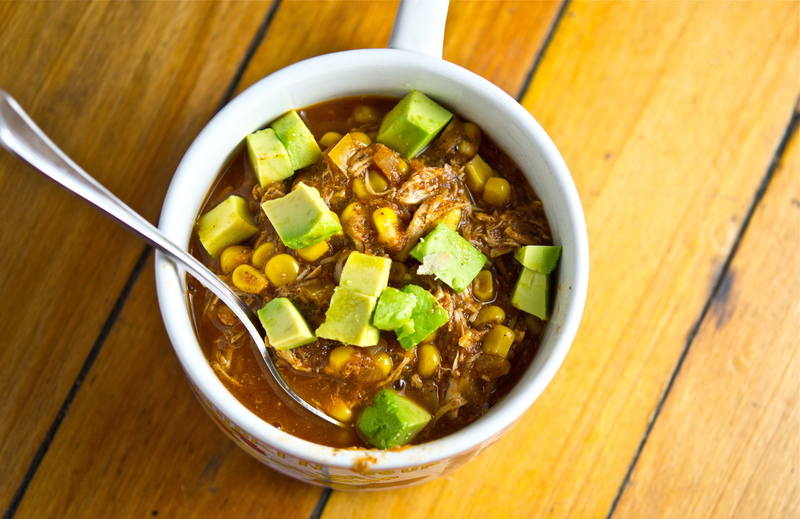 What I love most about this chili is that it’s chock-full of vegetables. 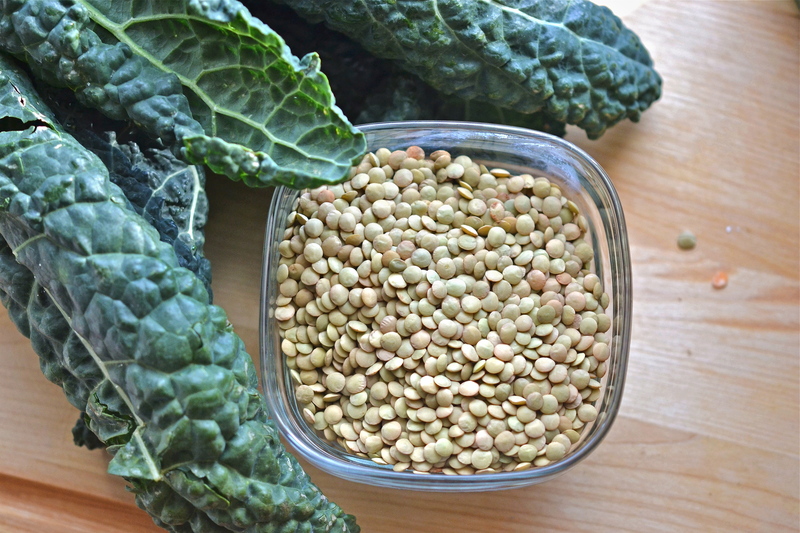 You could throw in some kale to up the nutritional scale, but these add-ins were perfect for our needs. 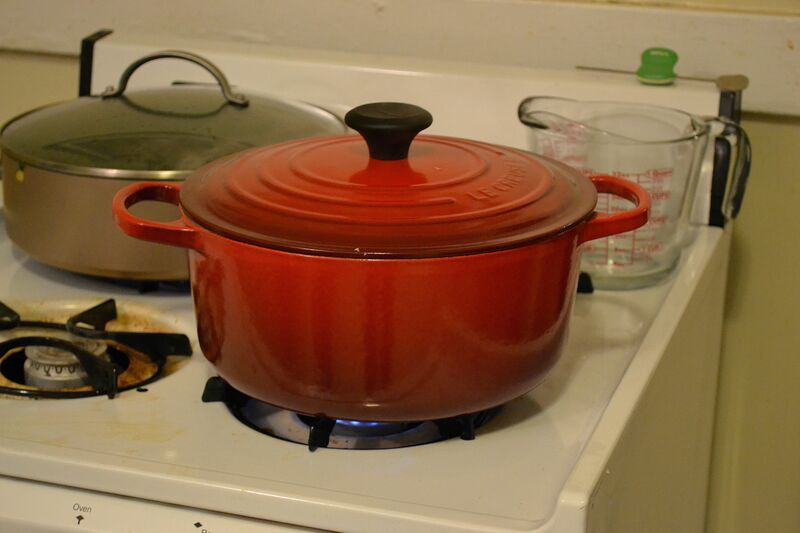 The original recipe called for canned tomatoes…but seeing as how I only had canned tomato sauce, I had to improvise. I’d just purchased some fresh cherry tomatoes, which ended up working much better than I’d imagined. The key to this chili is allowing ample time to simmer and settle (basically refrigerating the chili for a night or two). 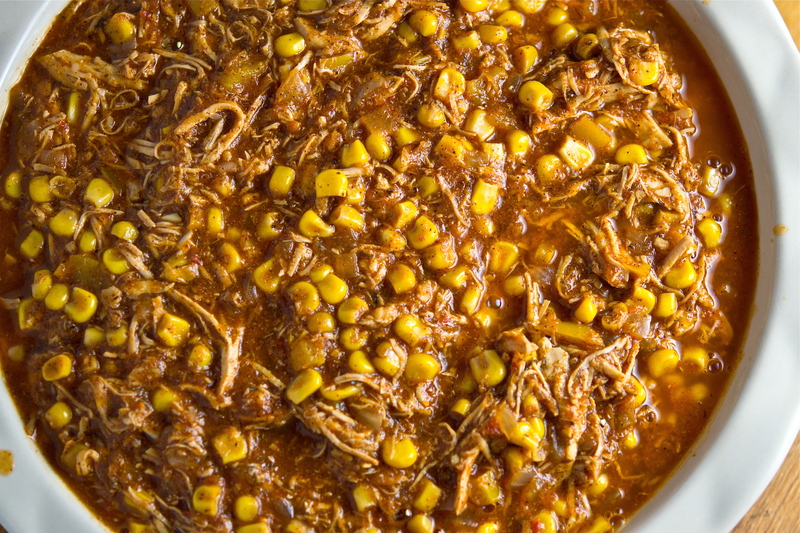 This allows the flavors to develop, lending a savory depth to this chili that is simply to die for – meat lovers won’t miss the beef for a second. 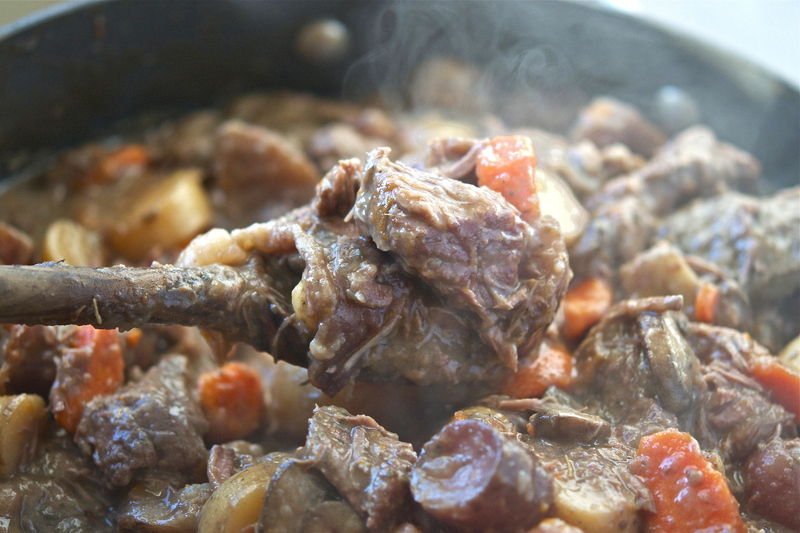 Click HERE to see the recipe for this hearty dish! This winter has been a great example of why it’s not always easy to find the “silver lining” in situations – our clothing and shoes have been defeated by salted walkways and knee-deep slush, and our sleeping rituals disturbed by the creeping chill that’s impossible to ignore. But then something occurs to remind us that spring is SO CLOSE, and soon we’ll be rid of all this silly winter gear. Music can have a similar effect – one moment you feel anxious or weary, and the next you feel refreshed and inspired. What better way to seek a “silver lining” in a less-than-admirable context than through music? This inspired my musical pairing for this post: Johannes Brahms’ Violin Concerto in D Major, Op. 77. 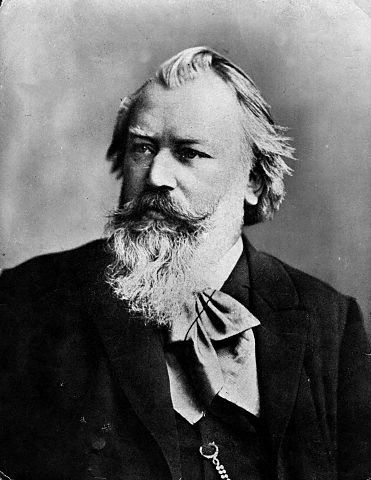 Brahms wrote piece in 1878 for his dear friend, violinist Joseph Joachim. The piece itself can be viewed as a journey, with a protagonist (the violinist) and a setting (orchestra). The Allegro non troppo opens with a fervent exposition, and the violin introduces itself with a fearless resolve. From there, the soloist takes an extemporary lead – the orchestra willingly follows, alternating between the opening’s intensity and ethereal reveries. It finally ends on a literal “happy note” following an ardent cadenza. The piece then transitions into an Adagio that is both passionate and gentle in character. (Since this dinner was cooked for my former roomie oboist, Jennifer Berg, it’s worth acknowledging the beautiful oboe solo that starts the movement). The Allegro giocoso, ma non troppo vivace is a celebration, as the “silver lining” is finally realized. When spring arrives, I’ll probably listen to this finale over and over again. The below recording (of the first movement) is with my favorite “protagonist,” Itzhak Perlman – enjoy! With the onset of Fall, we find ourselves turning towards heartier fare in anticipation of the colder weather: filling stews, creamy soups, baked pastas, etc. Many assume that winter meals translate into fatty, less-healthy options than the summer’s alternatives. Thanksgiving (just around the corner) does very little to diminish these concerns. 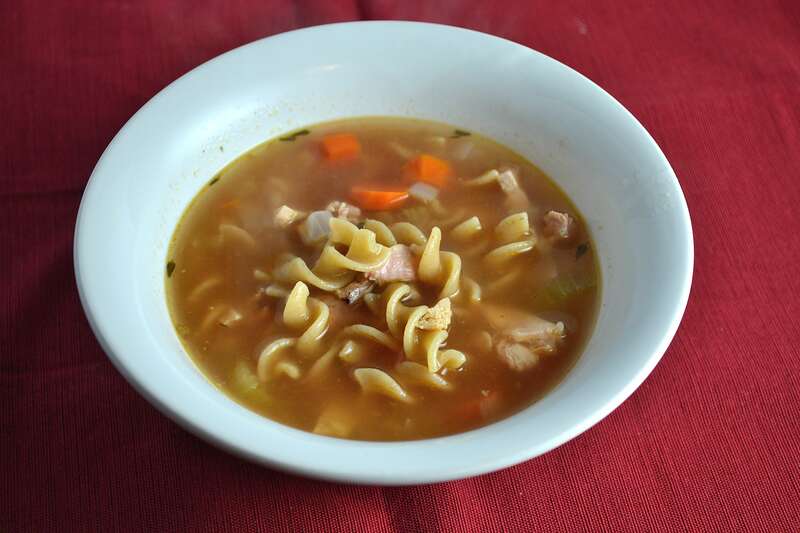 Nonetheless, there are plenty of healthy options that provide a cozy complement to the colder nights. 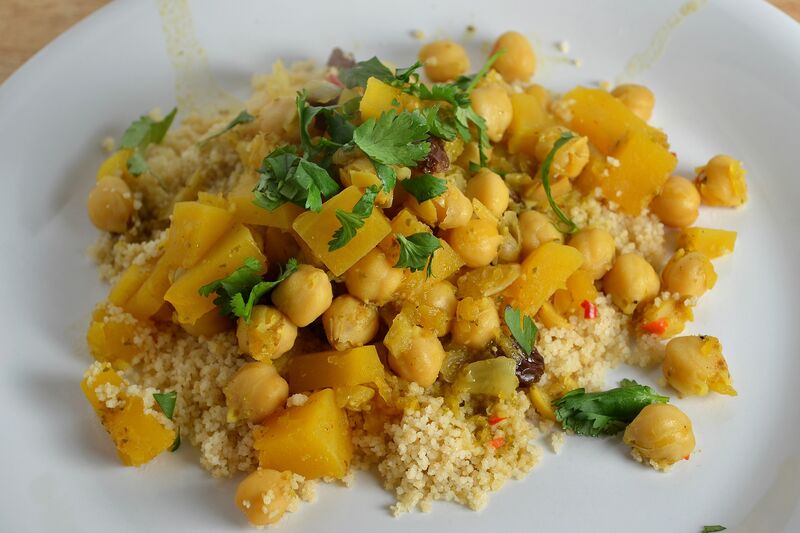 This dish is certainly one of them, and is surprisingly flavorful! I doubled the recipe knowing that I would be serving a crowd, and there still ended up being tons of leftovers! 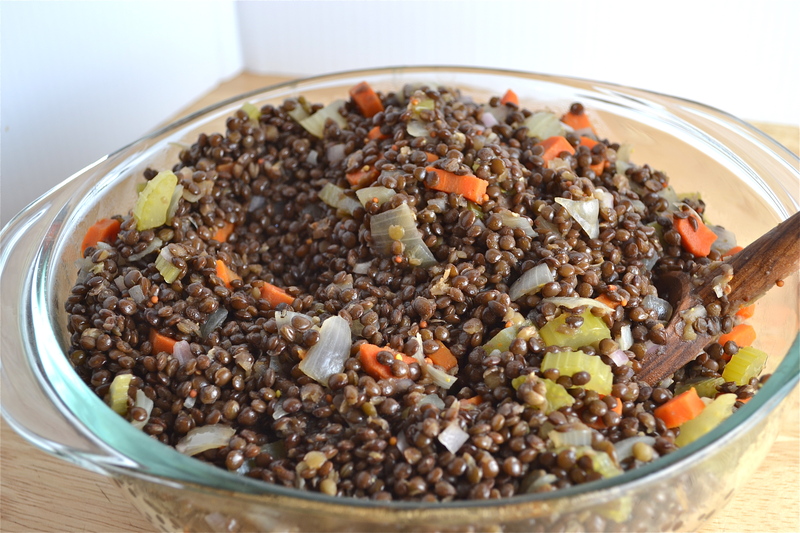 For a healthier way to warm up and still feel sated, look no farther than this amazing French Lentil Salad. The internet is addicting – we all know this. Yet the more inundated we become with information and options, I find the old-fashioned method for recipe searches to be far more satisfying – good old cookbooks. I have WAY too many (a point I’ve made countless times on this blog) and should use them more than I actually do. Thank God I decided to for this recipe – Dorie Greenspan, once again, proves her genius in this dish. 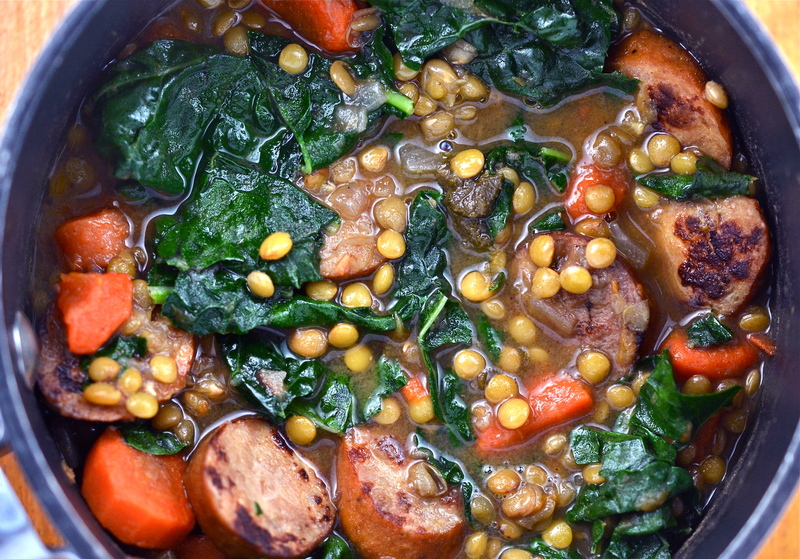 Lentils are a tough ingredient, given they can easily become too mushy or lack complexity. 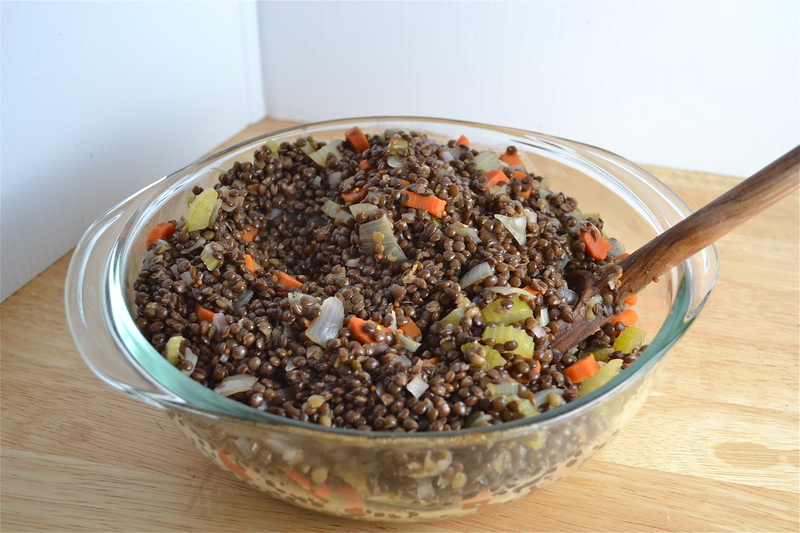 These lentils were perfectly tender and extraordinarily complex. 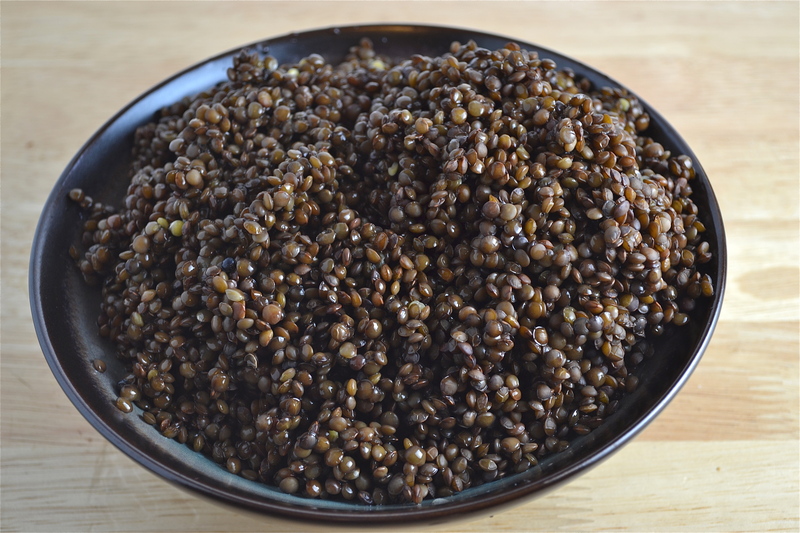 It was the first time I’ve cooked with black lentils (she calls for French green lentils, but these are an apt substitute) and I have officially fallen in love with their earthy taste. I credit the complexity in this dish to the cognac. 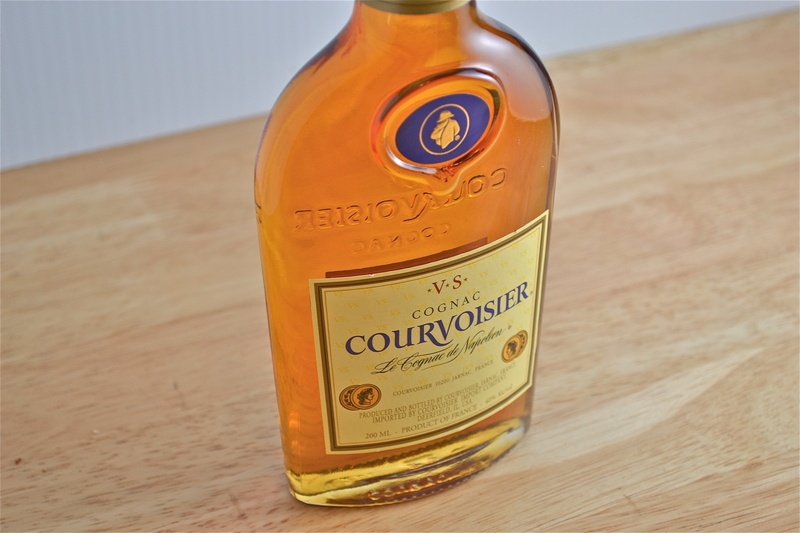 You can use any brand, but I wanted the novelty of actually owning a bottle of Courvoisier – a drink that had become an outdated luxury until P. Diddy released that hit single to bring it back into the limelight (this doesn’t necessarily mean I like the song, but it was the first time I heard about the drink). 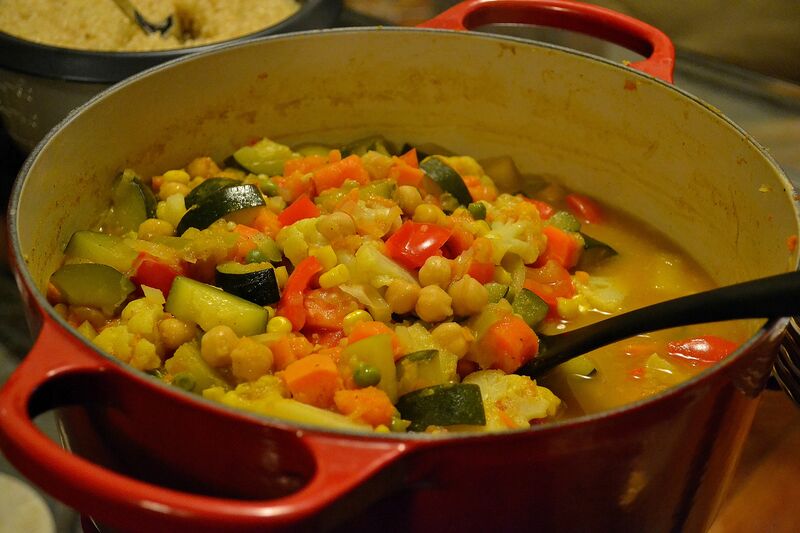 Adding the cognac is optional, but brings a bit of edge to the dish that is difficult to achieve in meatless entrees. Whether or not you choose to go with a pricier brandy is irrelevant, the result should be the same. 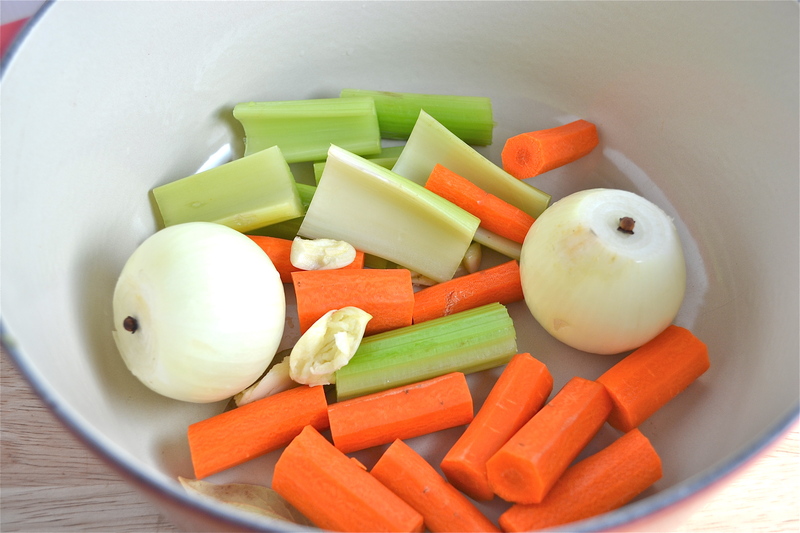 This is the first stew I’ve made where the vegetables are boiled whole, then chopped after the dish is done. I was apprehensive about not having the “caramelized” taste, but ended up being extremely pleased with the result. 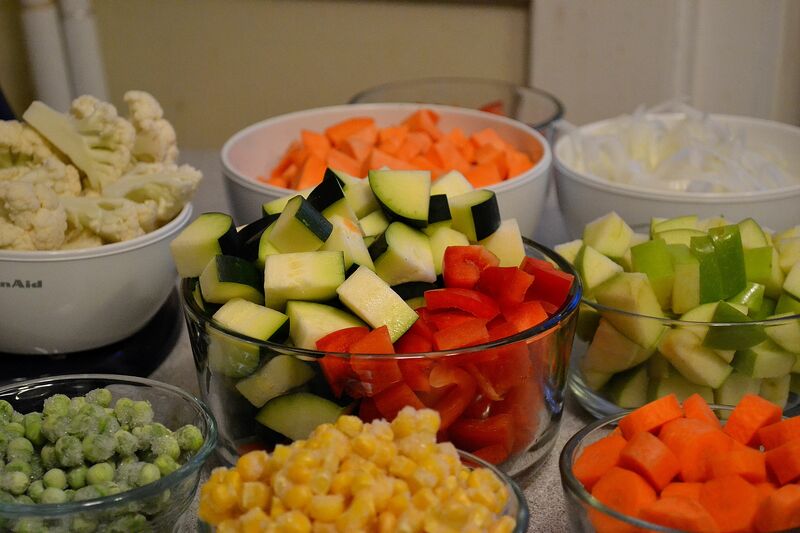 Including the vegetables (after chopping them) is optional, which I chose to do for added color and texture. 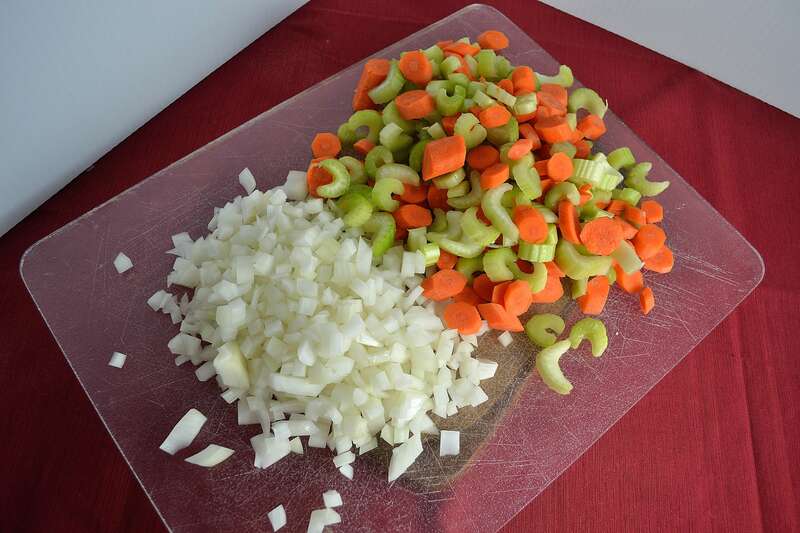 That being said, those onions were NOT easy to cut – the outside skin becomes very slippery, so please be careful if you choose to include them. I also chose to include the vinaigrette Dorie recommends. The lentils are excellent on their own, but this dressing paired beautifully. This salad will probably become a go-to of mine for those colder nights, and perhaps paired with a short glass of Courvoisier. 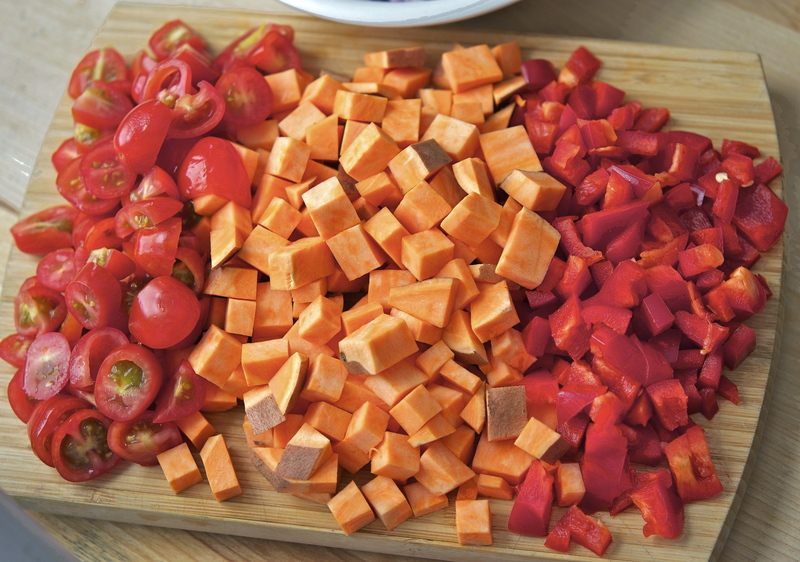 Click HERE to learn more about this filling yet healthy entree. This dish was somewhat dichotomous, exhibiting both robust and subtle flavors – this brought to mind the music of Robert Schumann. His style was driven by dualities, ranging from intense passion to thoughtful tenderness. I chose his Piano Concerto in A minor, Op.54 to reflect on this eclectic style. Originally intended to be a Phantasie for piano and orchestra, Schumann’s wife Clara encouraged him to expand the work into an entire concerto. She was deeply moved (as were most listeners) by the integration of the solo line within the orchestral context. It is one of his more famous works, and the only piano concerto he ever completed. The following recording is with pianist Arthur Rubinstein – enjoy! I have a theory when it comes to cooking vegan: make it count. Vegan fare should fully outshine the fact that it is without meat, so I take explore a number of ways to do this: flavor, aesthetic, novelty, heartiness, etc. I’ve mentioned my neighbors who are vegetarian by choice, and I love having the chance to cook wholesome dinners with them. 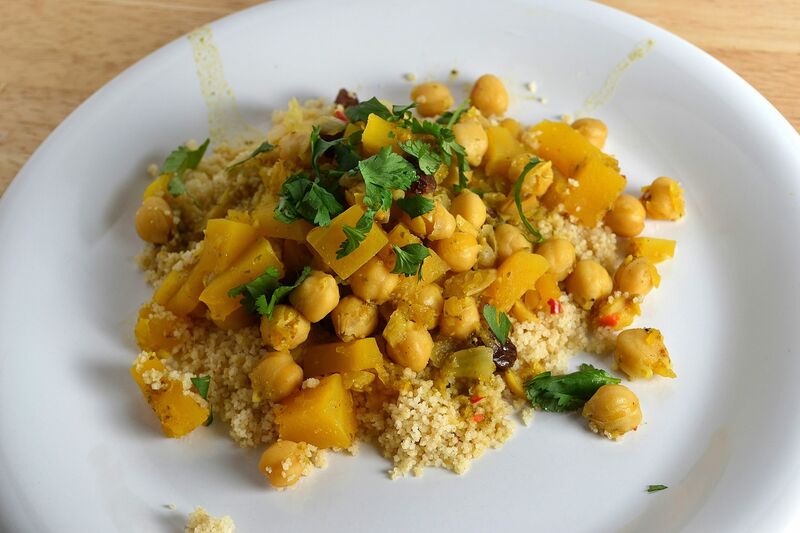 But my self-challenge in vegan cooking is to hook the non-veggies who swear by bacon, and this Moroccan Butternut Squash and Chickpea Tagine did just the trick. 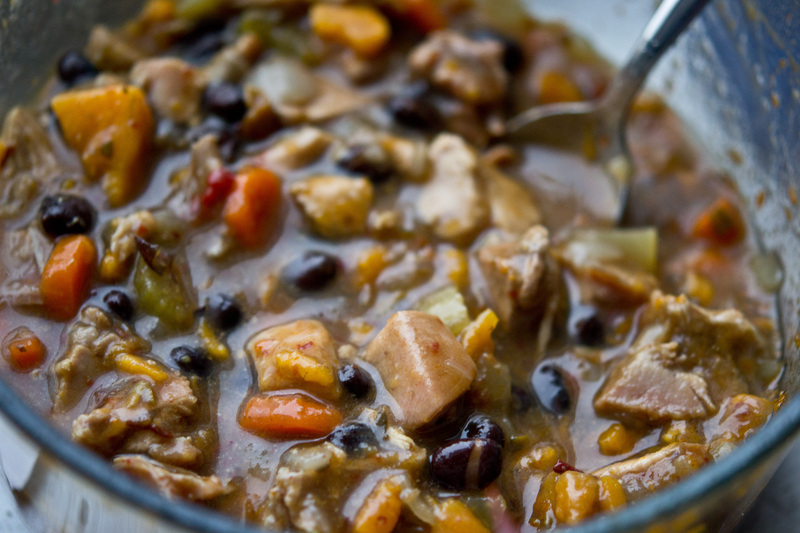 You may feel overwhelmed by the ingredients and step involved in this stew, but it’s a lot easier than it looks. The harissa, which you can buy from a store, is extremely simple to make and really gives this dish that extra umph! The other cool ingredient in this dish is the preserved lemon – that may sound a little eery, but it did give this stew a fantastic edge. 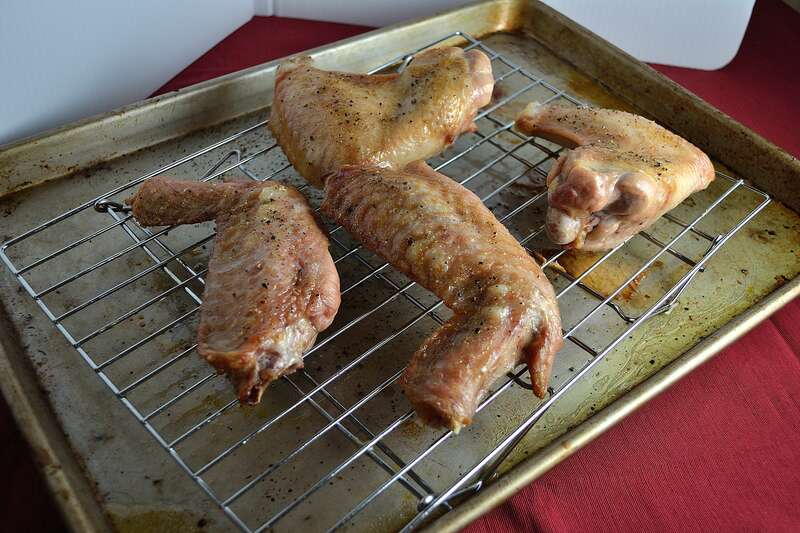 I’ve included a quicker version for preparing these in the recipe itself. 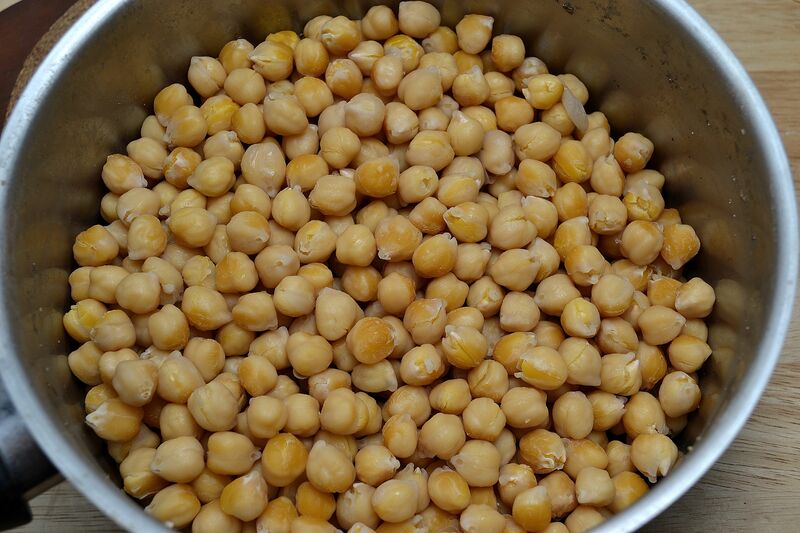 Canned chickpeas are also always an option, but there really is a special added value to taking the time to cook dried chickpeas. 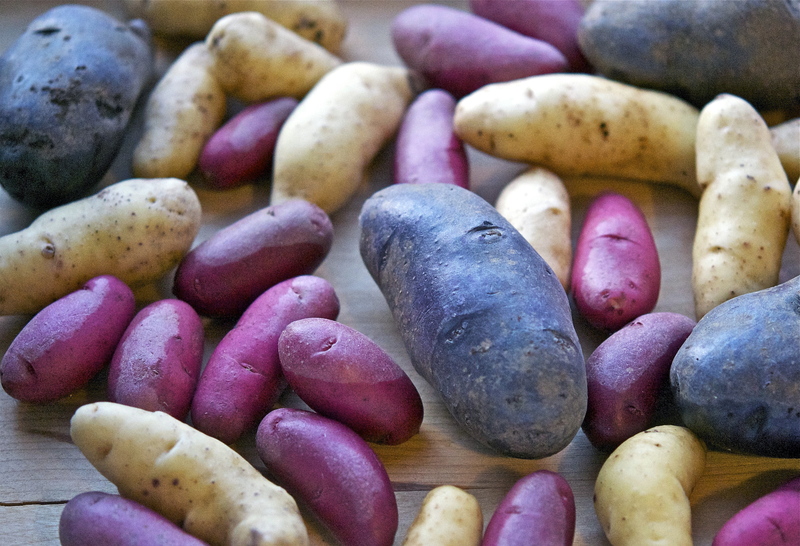 They take a while to soak (overnight), so put that into your prep work if planning on using dried. Seeing as how I nearly tripled the original recipe, this made a LOT of food. 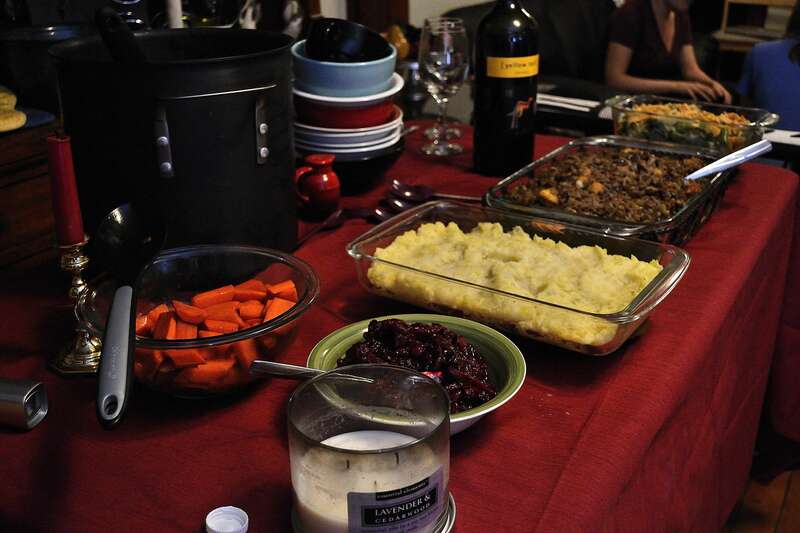 I wanted to accommodate a sizable dinner party (9 people), and ended up with delicious leftovers for a few days after. I served this dish with a whole wheat couscous, but I imagine it would be equally delicious served with pita bread or over rice. Click HERE to make this vegan showstopper today! 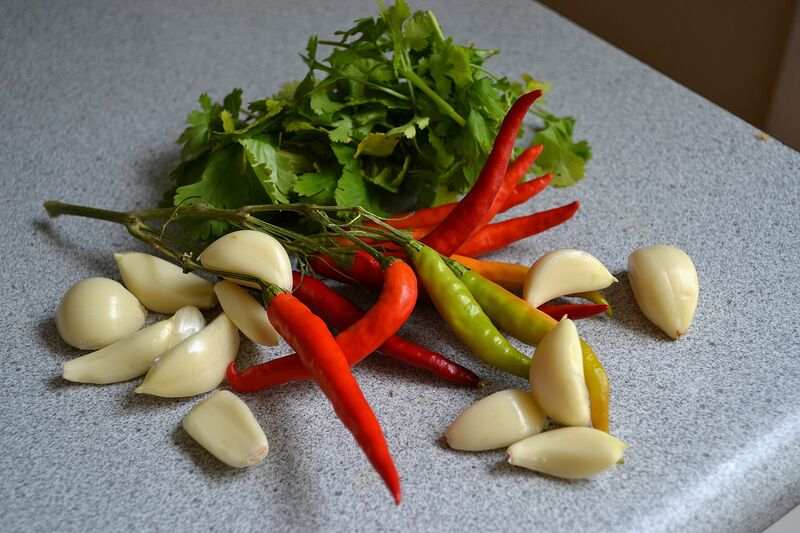 For the musical pairing, I wanted to reflect on the complexity of flavors and components. That brought me to a work I had seen performed live a few years back: Tchaikovsky’s String Sextet in D minor “Souvenir de Florence”. The four movements are quite diverse in quality: the first movement, in D minor, opens the piece on an impassioned, almost violent note. The second movement settles into the relative F major, bringing the timbre back to a calmer state. The latter two movements assume a Russian feel, with a third movement that’s almost playful transitioning into a driven, frantic fourth. This divergence of style made it the perfect match for the complexity of this dish – included is the actual performance of the work I experienced by Boston’s very own A Far Cry ensemble (arranged for chamber orchestra). I’ve included the fourth movement below – enjoy! When some of your best friends are vegetarian, knowing the ropes of meatless cooking is vital. There are certainly dishes I refuse to try (Tofurkey will never be on this blog), but for the most part I have a profound respect for the versatility of vegetarian meals. 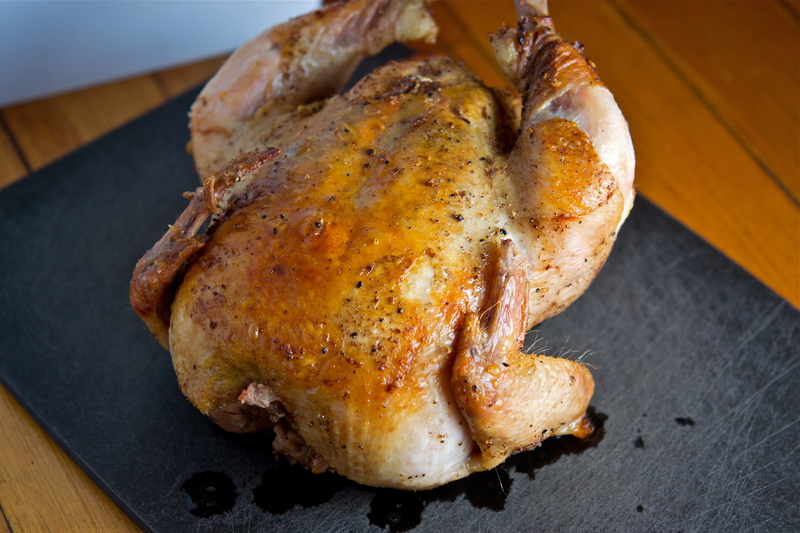 Main courses often rely on the flavor of the meat, so when that’s taken out of the equation you have to become quite creative. 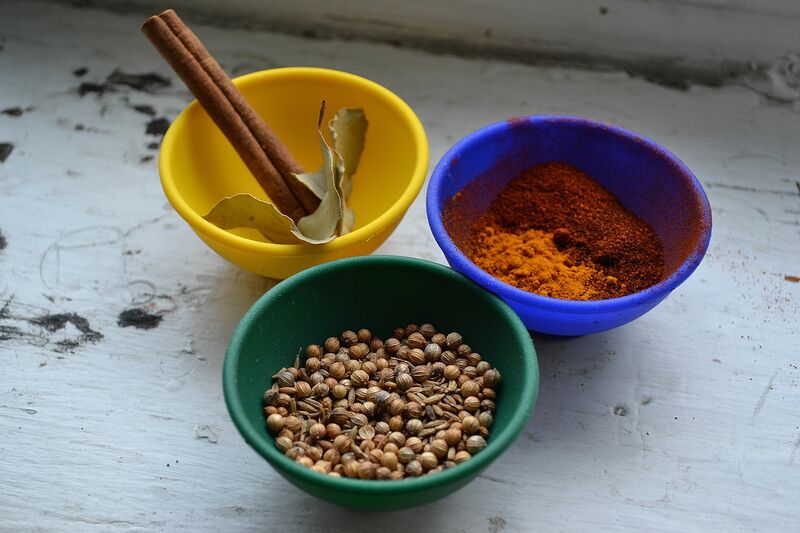 Indian and Mediterranean cuisines are wonderful examples, and I often turn to these flavor profiles when preparing meatless entrees. I encountered such an occasion when my friend Tim and I hung out the other night. 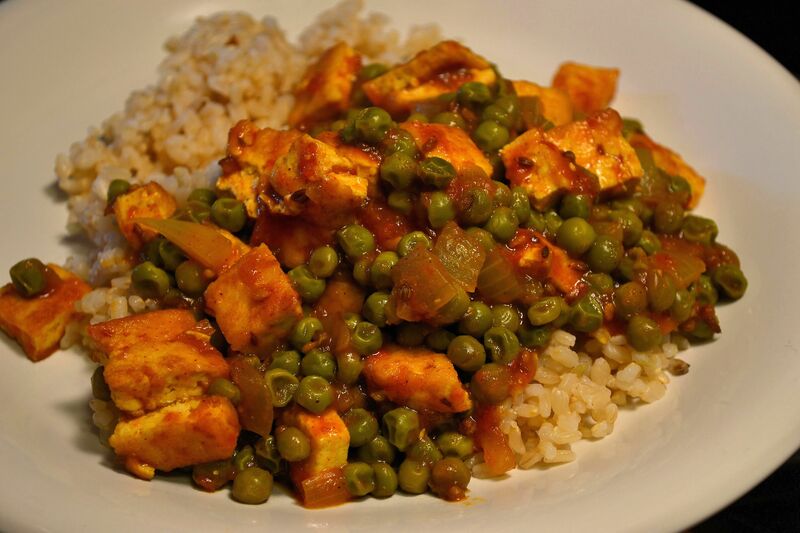 I went Indian and chose to make Indian Mattar Tofu. In Japanese, tōfu literally means “fermented bean.” It is essentially coagulated soy milk that has been pressed into white blocks. * Despite how unnappetizing that might sound, understanding how to work with tofu can open up a whole new realm of possibilities. It is most often used in Asian cooking (which can be inferred from its etymology), where it is used in soups, stir frys, fillings, etc. 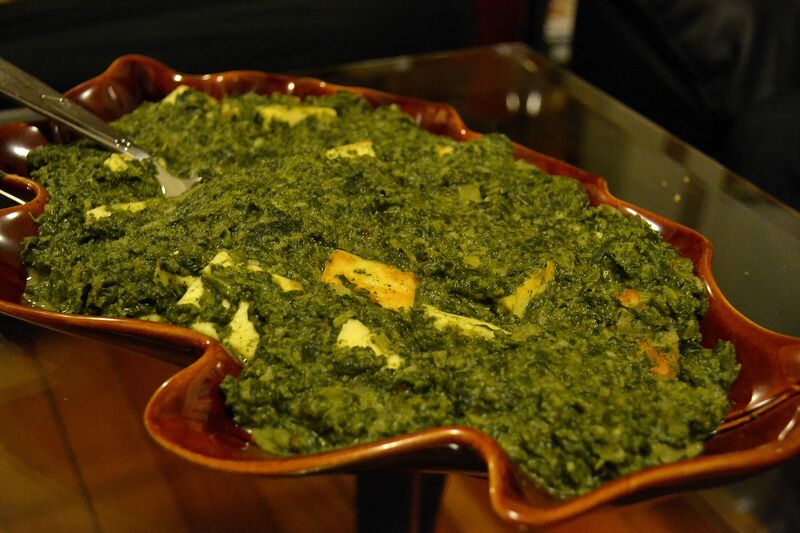 Considering it has very little flavor on its own, tofu is mostly used as a vessel for other flavors used in the dish. 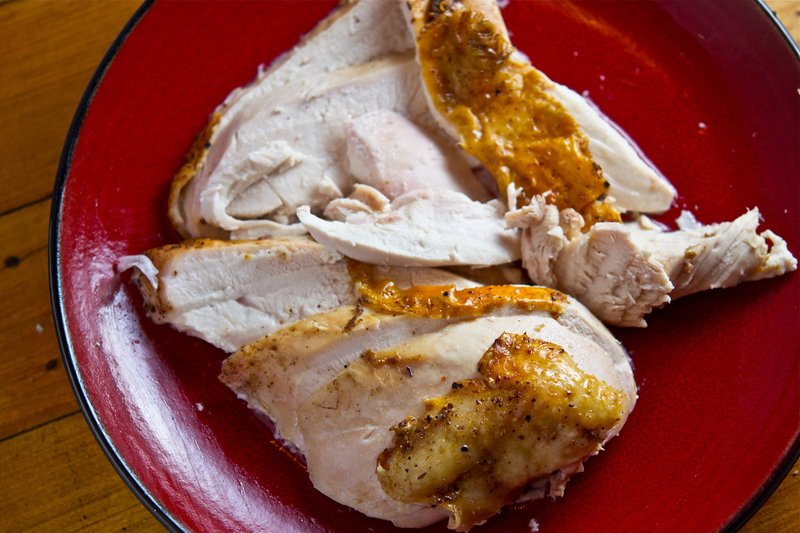 Marinades and sauces are quite useful for flavoring this “meat”. I myself was a veggie for 2 years (crazy, right!? ), so I am well aware of tofu’s unpredictability in cooking. Thus I use it more as a substitute in recipes with flavors and techniques that I already understand so as to avoid total frustration (case in point: tofu baked in a peanut sauce = worst idea I’ve ever had). Indian cuisine is one of my favorite ways to cook veggie, particulary because of the amazing flavors and colors its traditional spices lend. 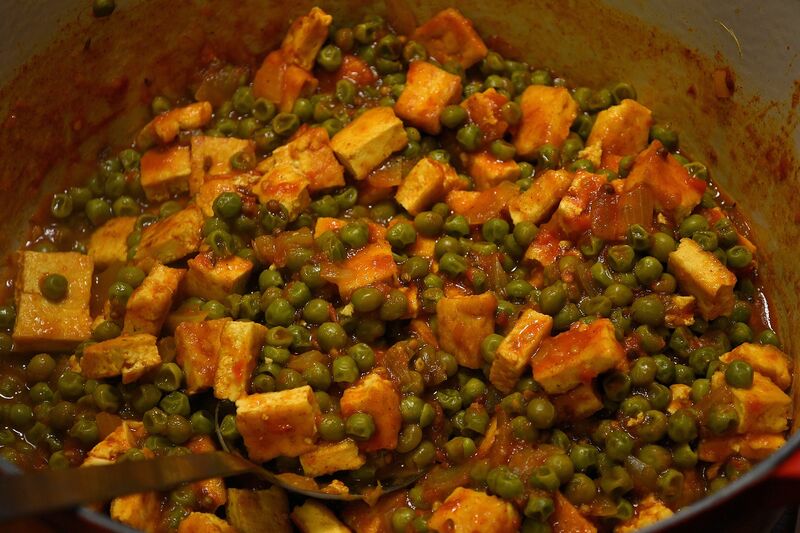 I had made Indian Mattar Paneer several times before, and tofu is the perfect substitute for paneer! The appearance of this dish was practically identical, and the taste spot on. Frying the tofu gave it the same crispy edge, and the deep spices of the dish were remarkable. 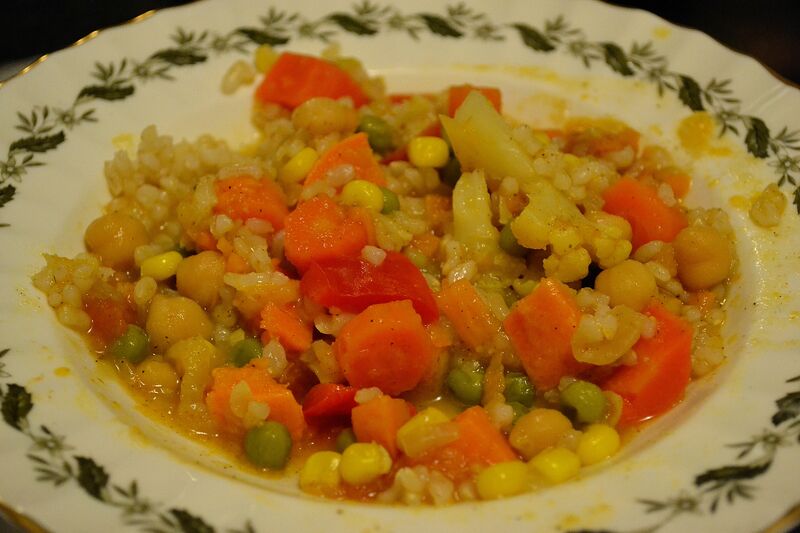 To learn how to make this veggie delight, click HERE. 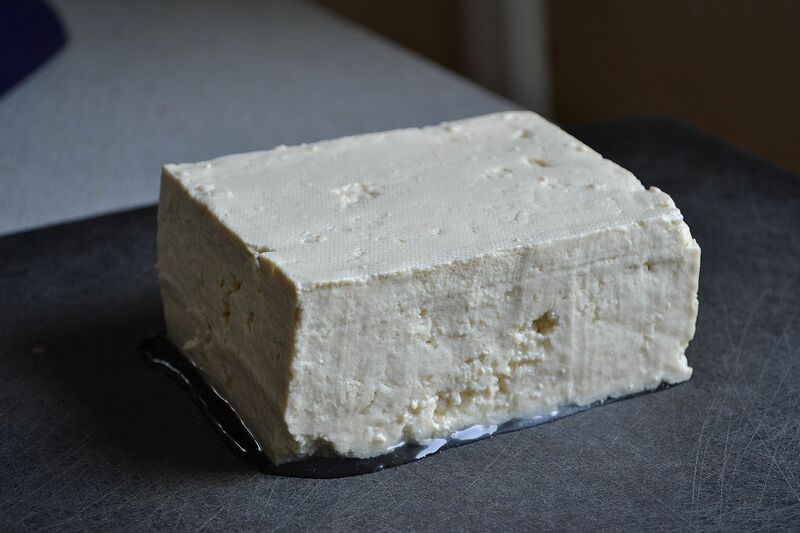 Tofu is essentially a baseline for flavors and ingredients – musically, this reminds me of basso continuo, or a figured bass. This is a notational style that was especially prominent in the Baroque period for the harpsichord. A basso continuo part consists of a dictated bass line in the staff, with accidentals and numbers beneath the staff indicating the chord structures that should be played above – a “recipe” for a melody, if you will. These chords and melodies are either prepared ahead of time, or improvised during the performance. It is these interpretations that bring out an innate richness in the composition, even though at first glance it may appear “bland.” The works of Arcangelo Corelli are a wonderful example of this inherent beauty, particularly his violin sonatas. I’ve included below a recording of his Violin Sonata Op.5, No.12 in D minor “Follia” by violinist Andrew Manze and harpsichordist Richard Egarr, with a performance is anything but bland – enjoy!